Save BIG on Red Tag Homes! Click here or Contact us today. We have your Dream Home waiting! Click here or Contact us today! You could be cooling off in your new pool soon! *Design Studio Options could be available at your neighborhood! Click here or Contact us today! 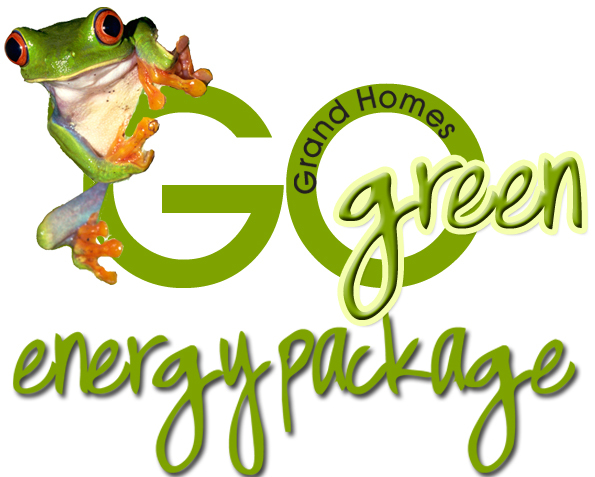 Go Green - Grand Homes ENERGY STAR Package! Click here or Contact us today to find out more about the ENERGY STAR package included with your new home. Disclaimer: Every Grand Homes neighborhood as it's own special promotion. Prices, values, offers and energy packages differ by neighborhood. Please visit your neighborhood for the specific promotion available. **Design Studio Options: Please contact us today for the individual neighborhood promotions. Prices, values, offers and energy packages differ by neighborhood. Promotions cannot be used in conjunction with any other offer, promotion, or bonus. Grand Homes reserves the right to withdraw any promotion at any time. Please see your neighborhood Sales Consultant for up-to-date information and the promotion available at that neighborhood. *Pool Promotion: The pool promotion is an allowance that may be used toward the purchase of a pool to be installed by a third party pool builder after closing. The Pool allowance is available on new homes to-be-built at participating neighborhoods and may not be available due to lot size or site conditions. The pool allowance of up to $20,000 will be escrowed at closing. In lieu of using the allowance for a pool, the purchaser may apply the $20,000 allowance to upgraded designer options. This promotion cannot be used in conjunction with any other offer, promotion, or bonus. Grand Homes reserves the right to withdraw or revise this promotion at any time. Your Pool will Include: Excavation, 6" Waterline Tile, Pump & Filter, 70' Perimeter - any shape, Plumbing, Steel, Gunite, 300 sf Brushed Concrete Deck, Timeclock with Freezeguard, 500 Watt Light, Approximate size 13' x 22'. See your Sales Consultant for full details.